The Iga-ryu Ninja Museum in Ueno, Mie Prefecture, is divided into three zones: Virtual Ninja House, Virtual Ninja Experience, and Virtual Ninja Traditions. The Virtual Ninja House is full of wonderful gimmicks, such as the dondengaeshi, shikakedo (trick door), and nukemichi (secret passage). Here the guides, dressed as kunoichi (female ninja), demonstrate how these contrivances were used with lightning speed. The Virtual Ninja Experience zone next door displays about 400 ninja tools, including the nawabashigo, makibishi (small spiked objects that are scattered on the ground to obstruct an enemy's movement), mizugumo (devices worn on the feet to walk on water), and shuriken (throwing blades), and visitors can actually touch and try them. At the Virtual Ninja Traditions zone, visitors can learn about the history of ninja and look at documents and other material. It gives people an idea of the lives of the ninja and their wisdom. The Iga-ryu Ninja Museum is about two hours from JR Nagoya Station on the Kintetsu Line. It's inside Ueno Park, which is a short walk from Ueno-shi Station. The city of Ueno holds the Ninja Festa every spring, and it comes alive with various events, such as ninja parades, dance performances, and ninja schools. Ueno is known as the birthplace of Matsuo Basho (1644-1694), Japan's most famous haiku poet. The house where Basho was born still stands today. As a young man, Basho developed an interest in the art of haiku that was popular in Ueno and studied the craft here. Ueno was also a castle town. At the center of the town is Ueno Castle, renowned for its beauty. Its high stone walls were used in the movie Kagemusha (The Shadow Warrior), directed by Kurosawa Akira (1950-1998). 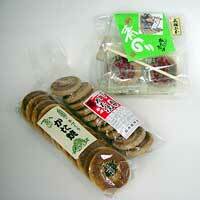 In regard to food, the city is famous for tofu dengaku (grilled tofu topped with miso sauce), but also recommended are katayaki, which are hard-baked crackers that the ninja carried with them.